Don't settle for average or "Low Nose Bridge" Fit. Get YOUR actual perfect fit now. No pair of glasses pulled off a shelf will ever fit anyone perfectly. 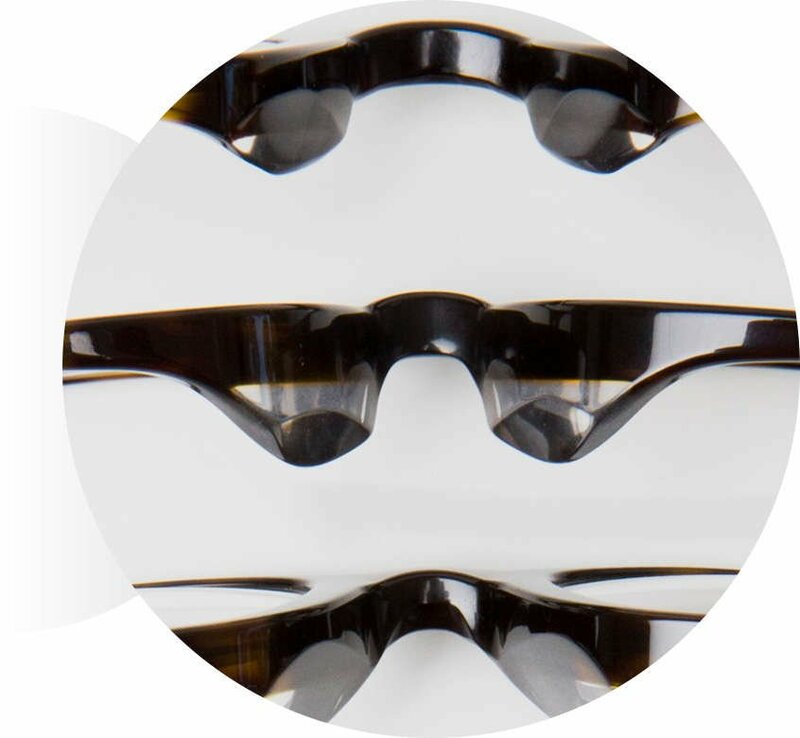 The idea of so-called Low Nose Bridge Eyewear might sound interesting, but it is just another false generalization. 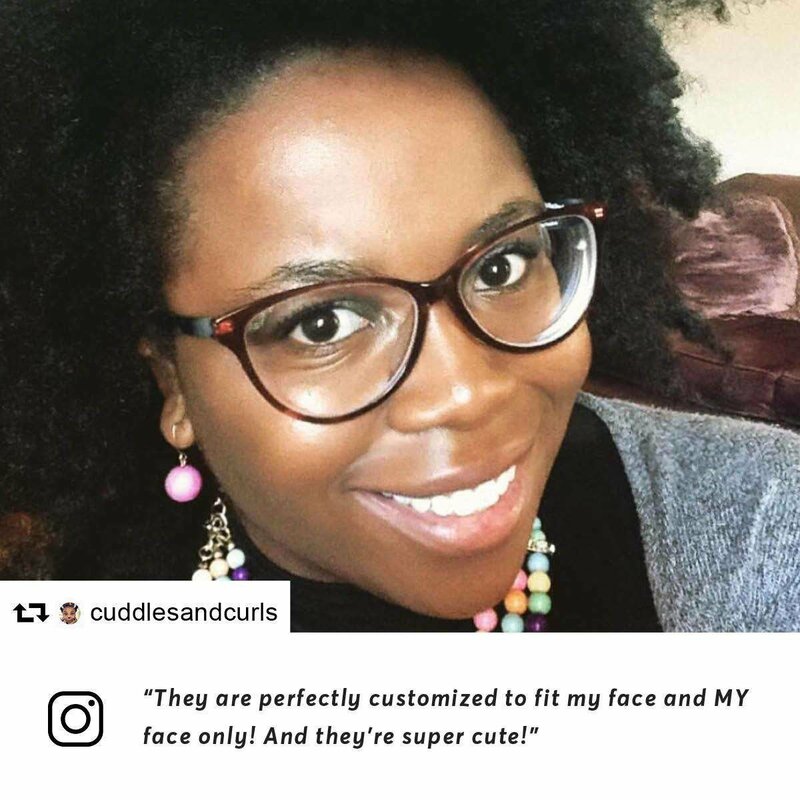 They are still made thousands at a time, sized for a mythical average face, not your actual face. So they’ll still pinch your nose, squeeze your head, touch your eyelashes or slide down your nose. The truth is, everyone is different. Thats why we only make glasses one-at-a-time, perfectly custom-fit to one person at a time. Like many people, Anissa had a hard time finding stock eyewear that fits. 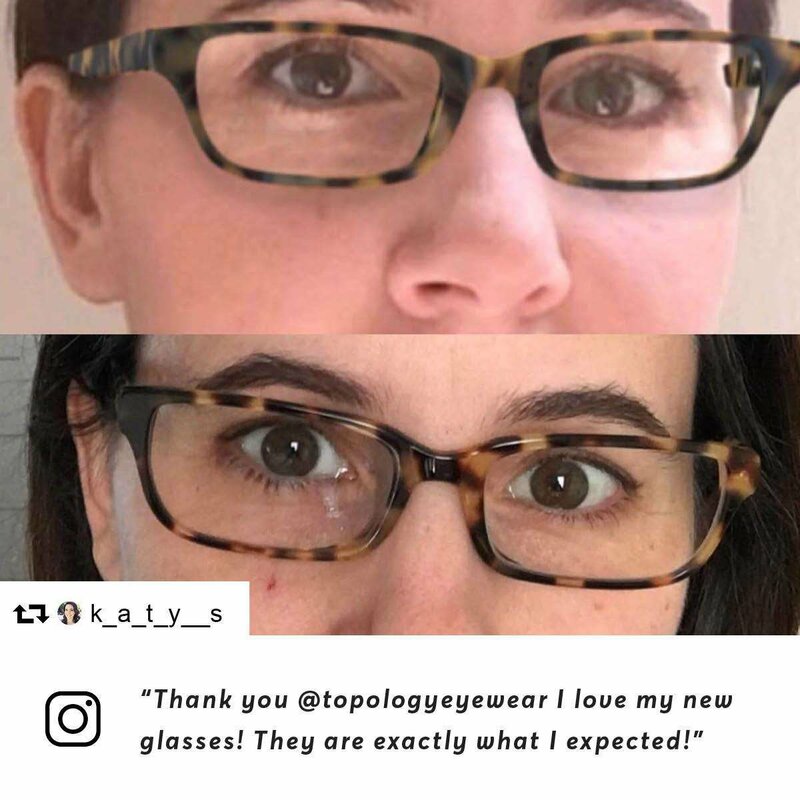 Her Topology frames have been sculpted to her low nose bridge and elevate her glasses away from her cheeks and eyelashes, positioning them perfectly in place. Every Topology frame is intricately sculpted to the contours of your unique nose, ensuring all day comfort and never leaving marks. We’ve served many customers with low nose bridges and have never made the same pair twice. 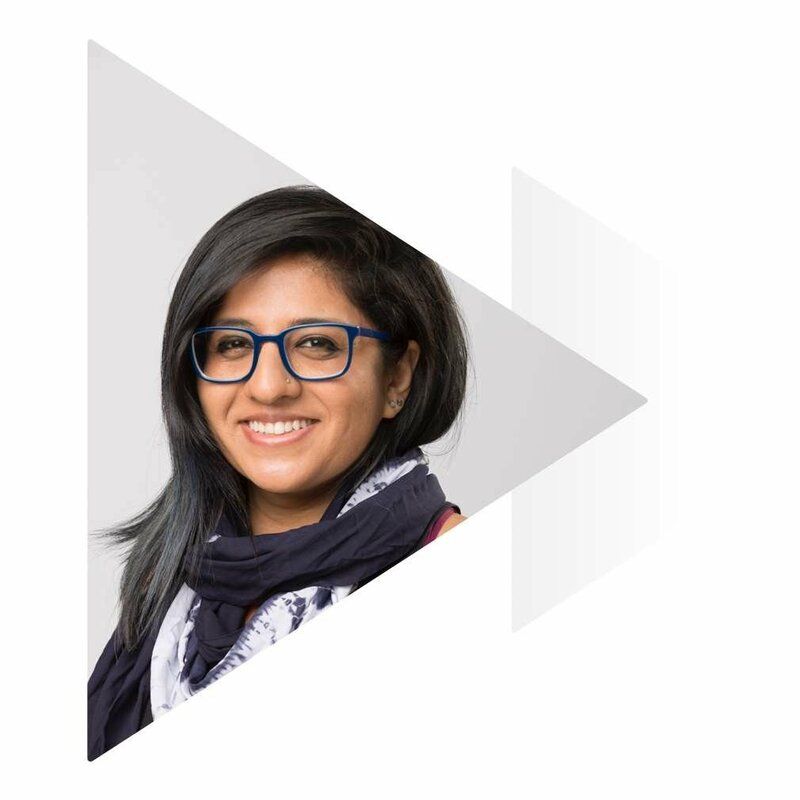 Ritika wanted eyeglasses that stay perfectly in place, no matter what the activity. 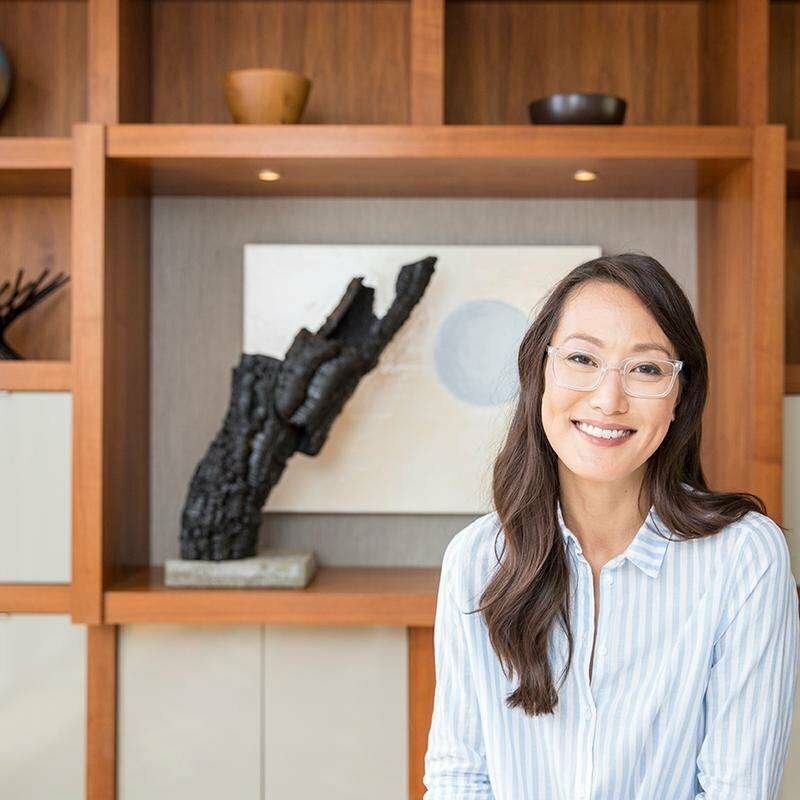 Her Topology frames have been precision-fit to perfectly align her lenses to her field of vision and comfortably sized to never shift or slide down. 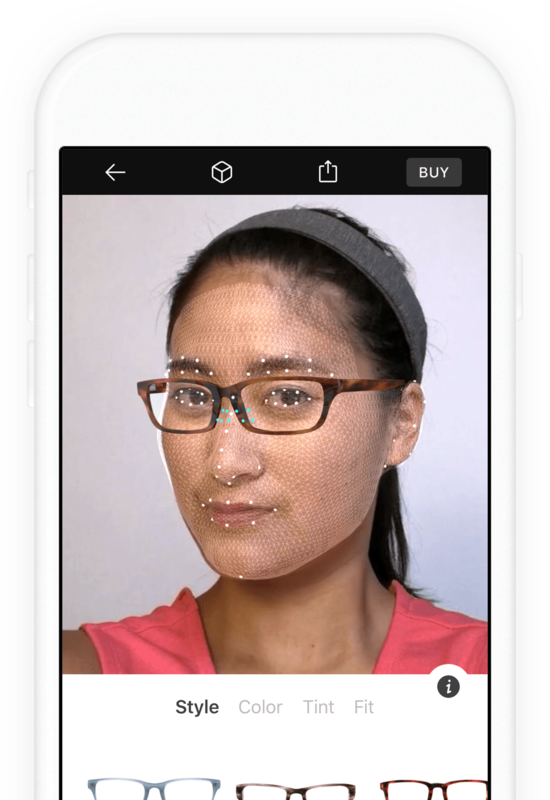 We use your iPhone’s camera to create a millimeter-accurate 3D model of your face. This lets us build any frame you choose to your exact details and preferences for a perfect fit, guaranteed. Free your style from the limited options that stock brands offer in their "Low Nose Bridge" ranges. 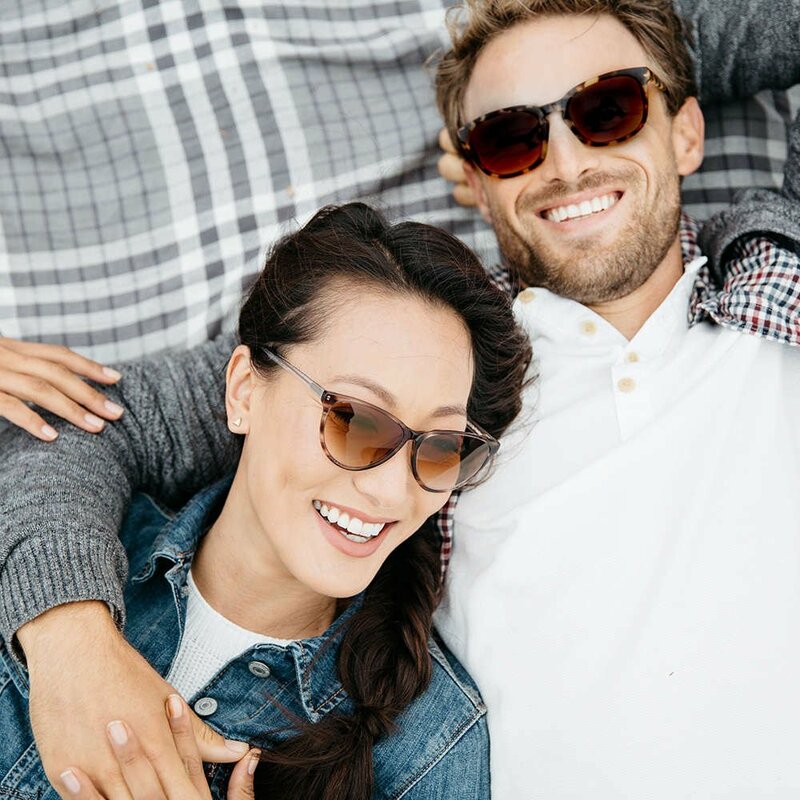 Select any style in premium Italian Acetate or lightweight, flexible stainless steel, mix and match colors, then adjust the width and size of your frames to create your signature look. 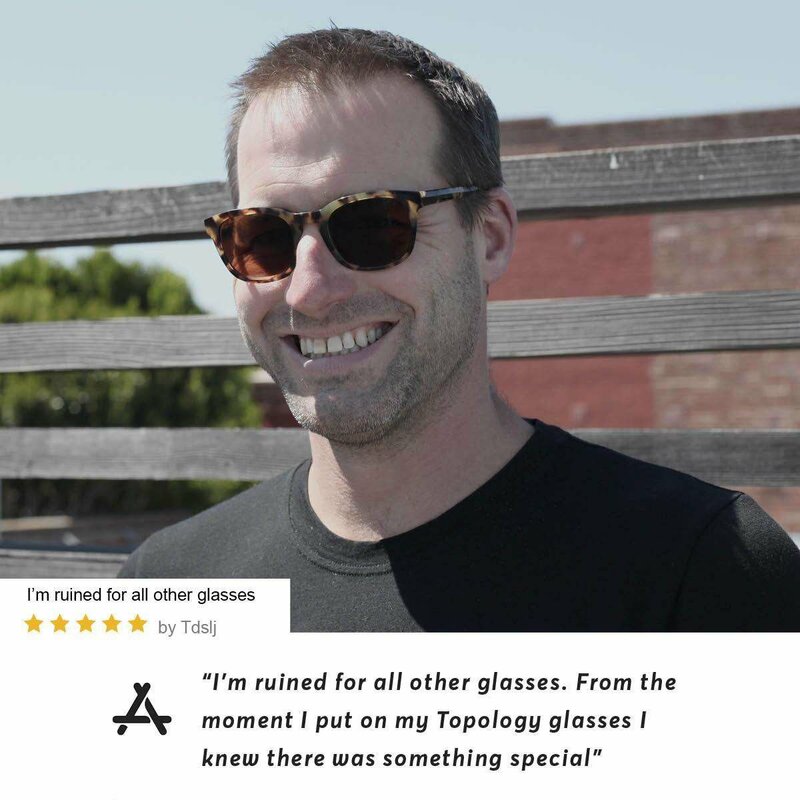 "Topology Eyewear custom sculpts eyewear to fit the contours and specifics of your face"
"Topology Eyewear allows customers to virtually try on glasses through its AR app, enabling customers to build confidence in a purchase that typically requires a physical fitting." 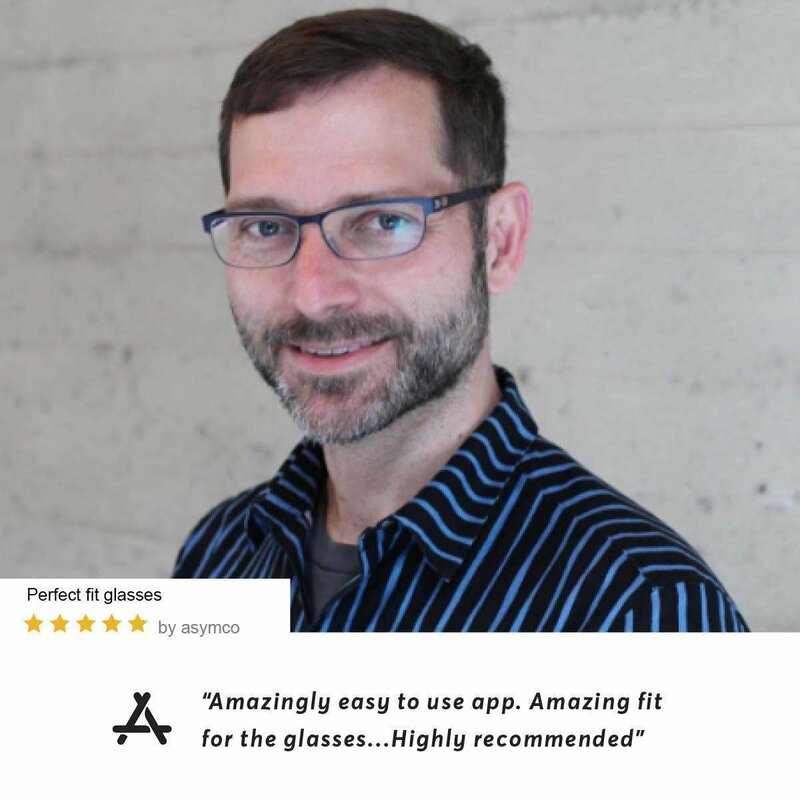 "True to my expectations, they look and feel great. 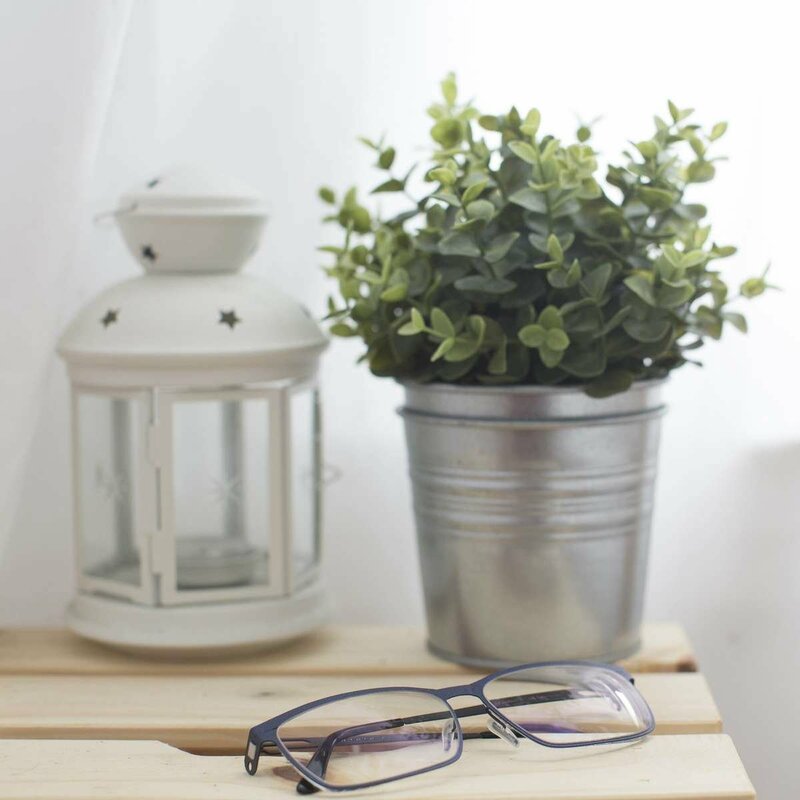 After a full day of wear, they still feel comfortable on my face, and I no longer suffer the fatigue or strain of contact lenses." 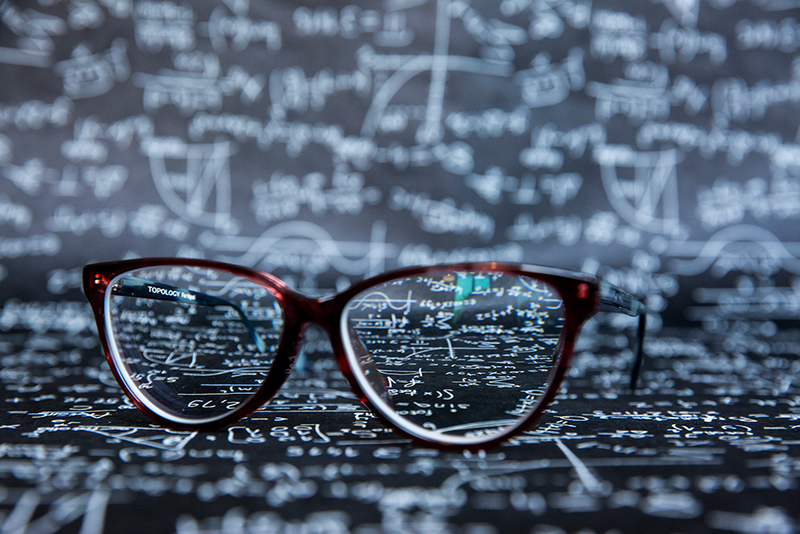 Our lenses are just as unique as the frames you design. 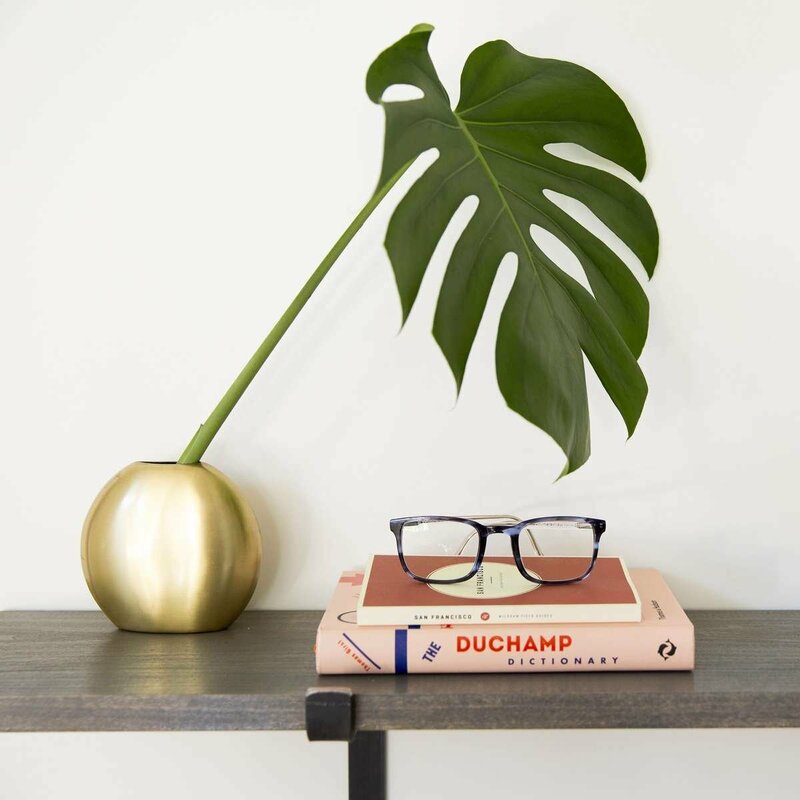 Made-to-order based on your 3D data and frame style, all lenses come with scratch-resistant and anti-reflective coating and can support any prescription, including progressive. 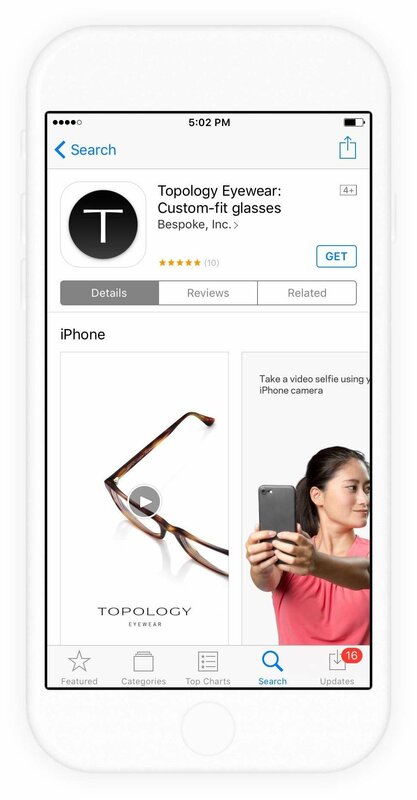 Download the Topology Eyewear app for iPhone and style your perfect eyeglasses or sunglasses today. Better Than "Asian Fit Eyewear"
Don't settle for average or "Asian Fit." Get YOUR actual perfect fit now. 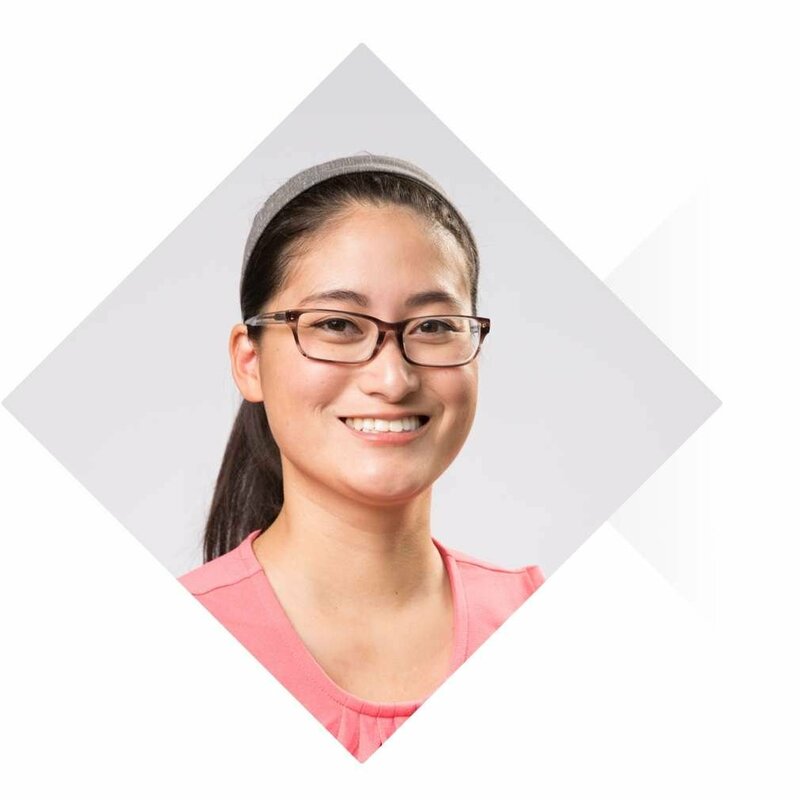 The idea of so-called Asian Fit Eyewear might sound interesting, but it is just another false generalization. They are still made thousands at a time, sized for a mythical average face, not your actual face. So they’ll still pinch your nose, squeeze your head, touch your eyelashes or slide down your nose. Every Topology frame is intricately sculpted to the contours of your unique nose, ensuring all day comfort and never leaving marks. We’ve served many Asian American customers and never made the same pair twice. Free your style from the limited options that stock brands offer in their "Asian Fit" ranges. 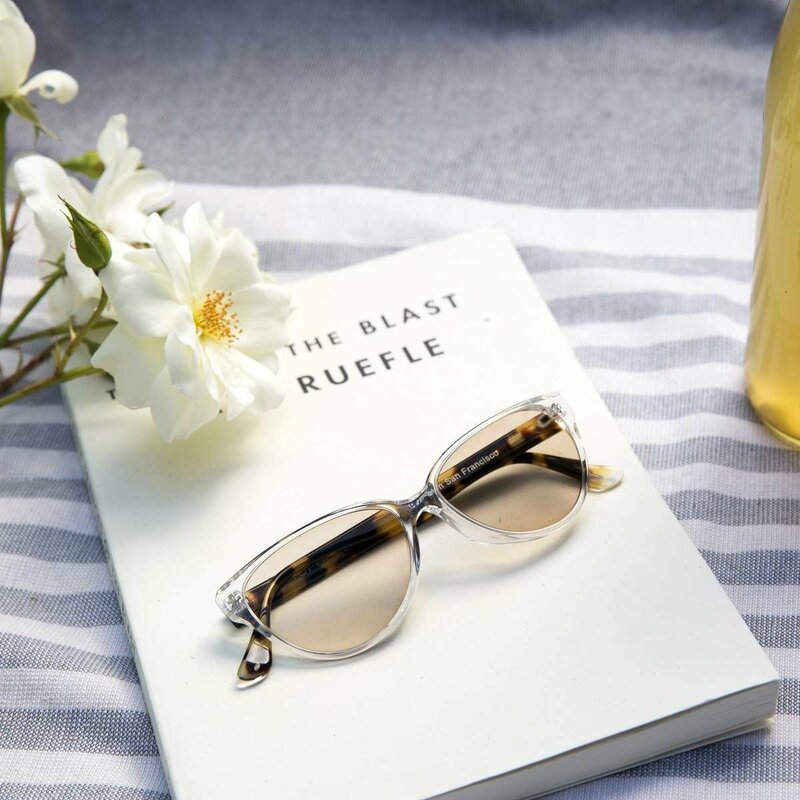 Select any style in premium Italian Acetate or lightweight, flexible stainless steel, mix and match colors, then adjust the width and size of your frames to create your signature look.